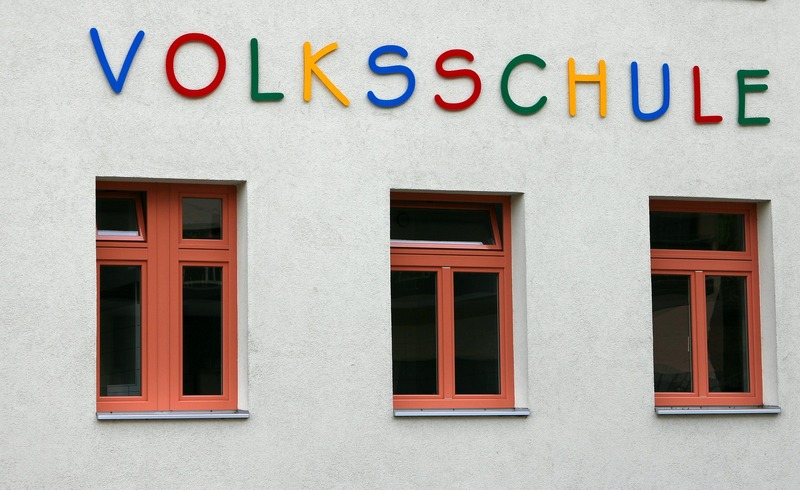 In Austria, primary school (Volksschule) is a four year affair. Children are taught in grades one through four by the same homeroom teacher and the school day typically lasts four to five hours. When school ends at 12 or 1pm, students either go home or attend some form of after school care known as Hort. The Hort may or may not be housed in the same building as the school. For my oldest son, his Hort group was one of three housed in an adjacent building along with two or three all-day Kindergarten groups for children ages 3-6. My youngest son, now finishing up first grade, walks along with several classmates to his Hort about a quarter mile from his school. His Hort group shares the building with two Kindergarten groups and three other Hort groups. Through the City of Vienna, parents may apply to have their children attend Hort and if both parents are employed, a spot is guaranteed. There are also private Hort groups around town and parents who are looking for part time solutions (i.e., only a couple of days per week or early pick up) may take advantage of these options. In terms of expense, public Hort costs about 200 Euros per month and is available at a reduced rate for low-income families and families with more than one child. Lunch and afternoon snacks are included. Hort usually stays open until 5:30pm (as was also true for Kindergarten when they were younger) and also offers care during the summer months with reduced staff. Throughout this year, I have thought often of what it is about Hort that I find so appealing. My oldest loved it, often more than school, and his younger brother seems similarly enthusiastic. Considering that this is where children can spend up to 15 to 20 hours of their school week, that degree of happiness and satisfaction can go a long way. Before I came to Austria and enrolled my first child in public Kindergarten and then school, I didn’t know what Hort was. I had perhaps heard the term but lacked context to give it real meaning. As both his father and I were working full-time, there was no question that he would attend a Hort after school. Here’s what happens in Hort: children are assigned to multi-aged groups of 20-25 where there are two adult teachers. The students receive lunch, have some break time, then there is a study period of about an hour for children to complete homework assignments. After that there are varied options: free play indoors or out, structured and unstructured arts and crafts projects. Currently Hort is decidedly low-tech. Options for play are hands-on, no screens. When I arrive in the house I am always struck by the liveliness and noise level. Kids are up and about, moving between groups. There are play areas outside the group rooms used by both Hort kids and kindergartners. When I pick up my 7 year old in the afternoons he is often busy building, drawing, crafting one thing or another. Or I find him outside playing soccer or digging in the sand or jumping rope. The kids he plays with come from a variety of backgrounds Turkish, Nigerian, Austrian, Slovak and British, and they do not all attend the same primary school. He has friends who are in 2nd, 3rd and 4th grades as well as good friends from his homeroom. Many live in fairly close proximity to the Hort and school, so that it’s common to run into families at the local shopping center during the week or on weekends. Having my child attend school and Hort in our neighborhood has an added bonus: I have a fresh sense of neighborliness – the positive feeling I derive from seeing people whom I know live and work and go to school in a small geographic area accompanied by a desire to show kindness and good will towards those people. Even in this big city, I enjoy a feeling of community which is tied directly to my child’s school and his Hort. I never knew how much I would appreciate this quality in my adult life as I do now. As I have spent so much time this year reading at length about K-12 education in North America, it has enabled me to look at Hort and Volksschule with different eyes, not only as a parent but as an observer of education systems. What appears to work well for kids? What is different or unique about this approach to schooling primary students? Hort is separate from school and falls under a different arm of city administration. It’s purpose is after-school care. In the same sense as Kindergarten is a form of early child care. This division from school is an important one. It is a division which allows Hort to become a place where school children get to master being children: How to get along with kids of different ages and types, how to negotiate participation in play in multiple forms, how to deal with adults who set limits and also encourage independence, and how to make friends and keep them. The supervising adults are trained specifically for guiding this age group in this context: a huge emphasis is placed on social-emotional learning. During the homework hour Hort instructors encourage children to assist each other and offer deeper support where needed. More specifically, the Hort instructors know and understand the value of play in the lives of their charges. They encourage, facilitate, moderate and welcome play and it shows. The role they are allowed to take on for their students means that they can become trust partners in a different way from the classroom teacher. Similar to a classroom teacher, they observe, build relationships, offer guidance and clear parameters, and take an active interest in their students but they do not grade the child’s academic progress or behaviors. This is not about competing agendas between school and Hort. On the contrary, the structures complement each other quite well. Kids can enjoy Hort and school, experience success and challenge in both environments. It is the combination that strikes me as a winning option. My child’s academic success seems hardly jeopardized by fewer hours of “seat time” at school. Rather his natural curiosity and creativity receive an extra boost by time spent among different peers with the freedom to engage in far more choice activities. And he’s happy when I pick him up. Our kids need all of these elements. As North American PK-12 education continues its steady pursuit of higher academic standards at younger and younger ages, I worry that we may be stealing more from our children in the short and long term than they or we could possibly hope to gain. Shrinking opportunities for free play, punishment for children and schools which are deemed failing, ongoing devaluation of teacher expertise in policy formulation and implementation – common themes in North American PK-12 discussion, these all contribute to my fear of harm to children in such systems. The Austrian public education system certainly has its own set of weaknesses, yet there are parts of the system which make a lot of sense to me as a parent and as an educator. Hort as an institution is one of those parts the system can be proud of. Adaptation for kids that do not speak any German in public school system.